Holographic polishes are very popular with the nail polish fans these days. Probably more popular than when a lot of the first one first came out. 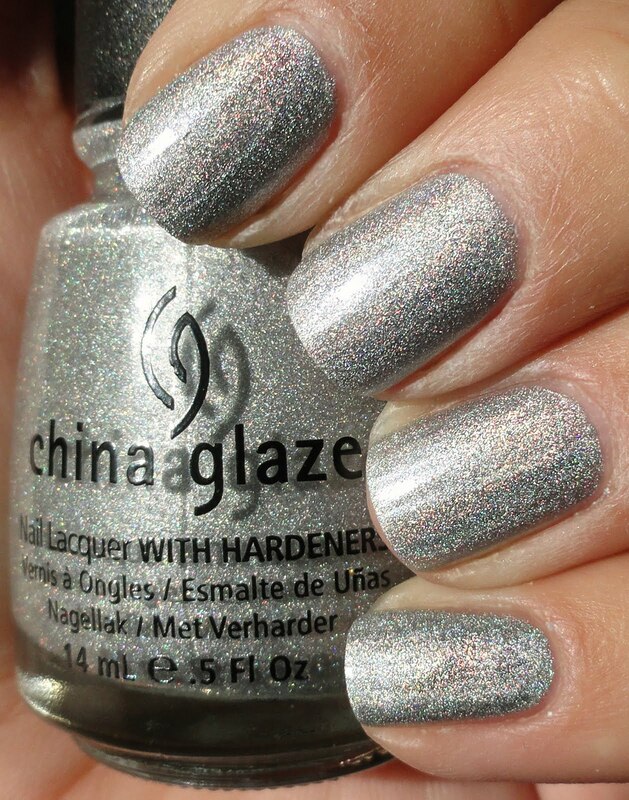 China Glaze is a very obliging company who really listens to their fans. They knew that the consumers wanted new holographic nail colors and they set out to make that happen with the new Tronica collection. The futuristic theme is on point and fun and the colors mimic their previous OMG collection with a tweak on the holo effect, it is a little more scattered and less linear than the OMGs but less scattered than the Kaleidoscope collection they put out years ago. It's kind of as if the OMG and Kaleidoscope collections had a baby and she is Tronica. I am not the biggest fan of the new finish, however a holo is a holo is a holo right? So I had to get me some'a that. I picked out Hologram, Mega Bite, and Techno Teal the silver, gold and teal colors. I used three coats for each. They were a little sheer but the drag was minimal which was nice for holo polishes. I think they look nice on me but honestly I will always choose a linear or a large particle scattered holo over small ones like these. 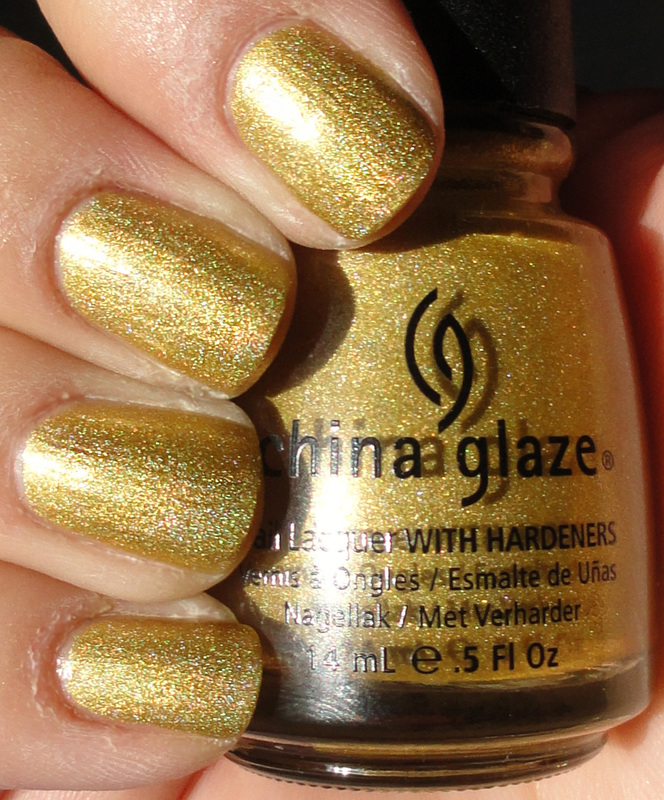 *shrug* Guess I'm just picky (; Did you pick up any lacquers from this collection?